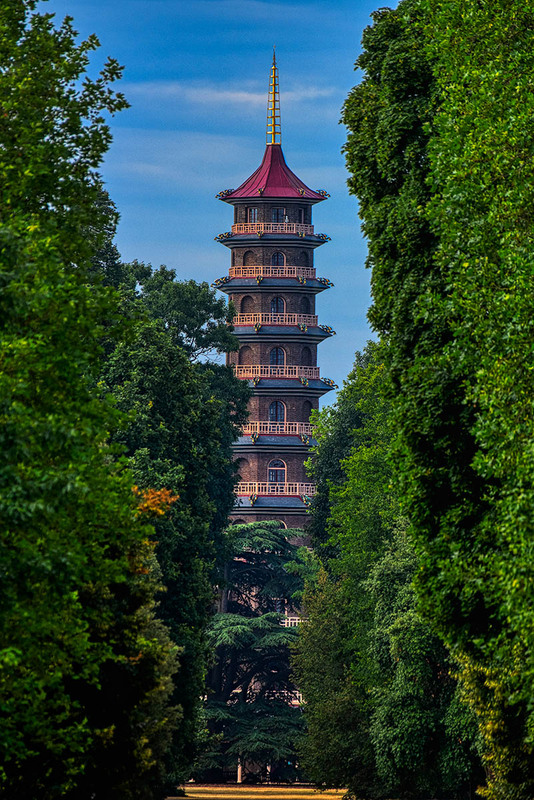 Set at the end of a splendid avenue of trees the Great Pagoda is being restored to its original 18th century splendour. The vista is lined with North American swamp oaks (Quercus palustris), sweet gum (Liquidambar styraciflua) and Turkish hazel (Corylus colurna). A single cedar of Lebanon tree (Cedrus libani) can be seen standing in front of the pagoda.